For those who want to take on the PADI GoPRO challenge and become professional divers! This is the first level in diving leadership. 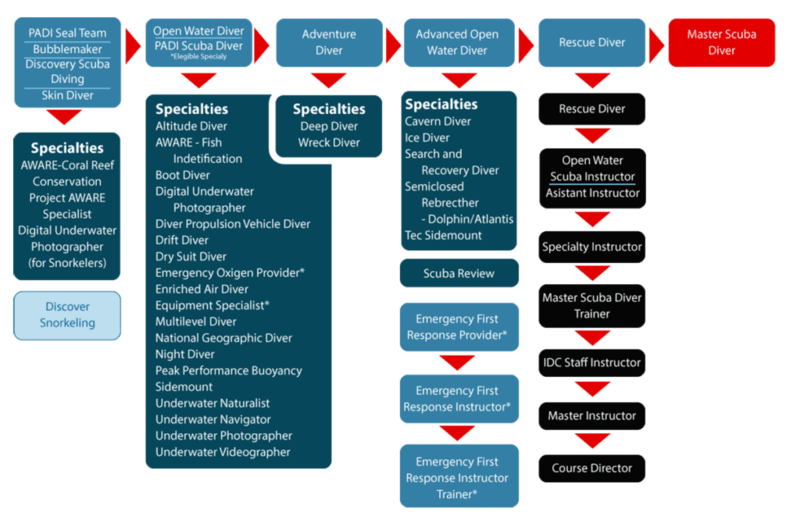 It is designed to provide you with the necessary skills to organize conduct and supervise recreational diving activities, and act as an instructor’s assistant. During your PADI Lembongan Divemaster Internship, you will develop your dive theory and get hands on experience working side by side with our team and student divers. Why GoPRO with us? You will enjoy daily world-class diving around Nusa Penida, experience a variety of challenging conditions and develop your skills while learning from an award-winning team of PADI professionals with years of experience. Take on the PADI GoPRO Challenge with the team Ceningan Dives. AWESOME discounts on dive gear and accessories from Aqualung. FREE workshops; including access to presentations on various topics such as manta rays, mangroves and coral conservation. FREE Job placement workshop. Our extended industry partnerships covers dive operations from around the world. With more than 20 years experience building an excellent relationship with PADI, your success is assured when you GoPRO with us. FREE Visa assistance services. We can assist you in securing a social visa for your internship or with visa extensions. Do you have what it takes to become a PADI Divemaster? Why should you do your Lembongan Divemaster Internship with Ceningan Divers? Our internship program was created and is conducted by a team of experienced dive instructors including a PADI Platinum Course Director and 2 PADI Master Instructors with more than 20,000 dives combined. Together, we pioneered some of the coolest programs in the industry, we are dedicated to help you succeed in your new career, and we lead with passion. You will get personalized attention from our team. For us, teaching you is not a job, it’s a priviledge we worked hard to achieve! Be fit for diving and submit a medical statement signed by a physician within the past 12 months. You will not find a better Divemaster Internship offer from a more experienced and dedicated team anywhere else in Indonesia! Would your like a FREE Lembongan Divemaster Internship? If you want to work in Indonesia, you need a working permit. As a paying guest, we have an obligation to you to give you the best possible training. Our dive instructors, your mentors, have to earn a salary as well..
Sign up for your PADI Lembongan Divemaster Internship today. Soon you will be learning and gaining new experiences while working side by side with one of our instructors at Ceningan Divers, PADI 5 Star Dive Resort.